Denmark is considered one of the safest countries for international students to pursue their studies, as it has the lowest crime rate in the world. Danish higher education institutions offer a wide variety of English- taught degree programs and courses. What are the benefits of studying in Denmark? Studying in Denmark gives you an excellent foundation for your future career. Danish universities receive a limited number of government scholarships every year, to fund the education of highly qualified full degree students from non-EU/EEA countries, and Switzerland. Danish institutions of higher learning administer these scholarships, thus making the final decision as to which students will receive a scholarship. The Danish Government Scholarships apply to eligible full-time higher education programs offered at participating institutions. The government scholarship is in two parts and is given either as full or partial tuition fee waivers, and/or grants to cover living costs. Note that scholarships are administered by the individual higher education institutions, and as such, you can only get full details from the institution of your choice. 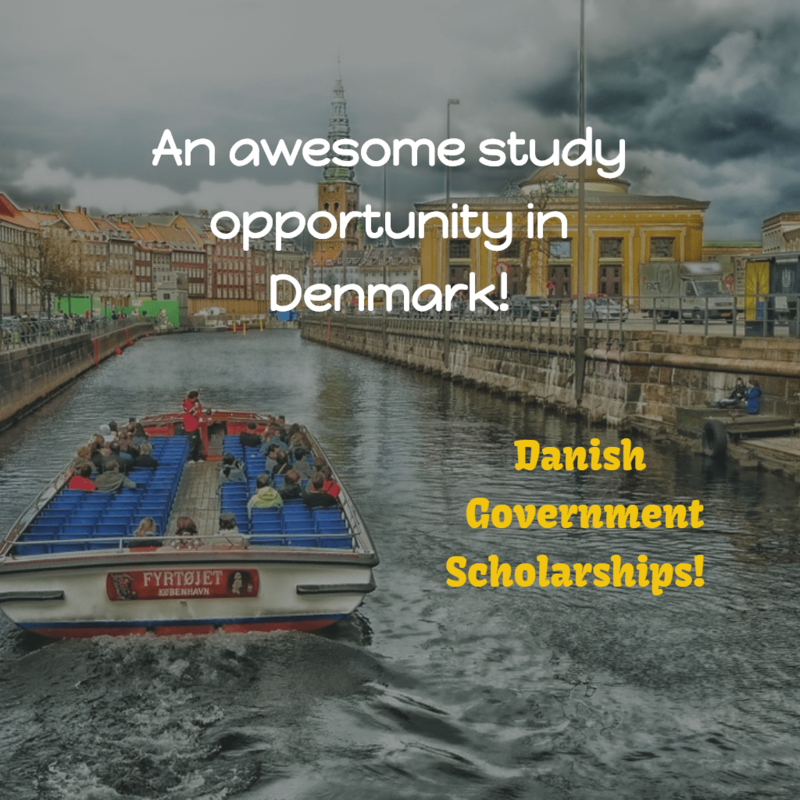 Danish higher education institutions receive a limited number of government scholarships yearly to disburse to highly qualified students. You must be a citizen of a country outside the European Union, the European Economic Area, or Switzerland. Visit the official scholarship website as well as the website of your chosen university to get detailed information on scholarship application. The admission desk at your chosen university can also give you all the information you need. Once all the applications have been received, the Danish institutions of higher education do the selection of recipients. The deadline generally varies depending on your choice university and study program. Applications for September admission are sent in between March and April of the same year, while applications for February admission are sent in between September and October of the previous year. Hello sir, am Betondi Eric NGOs from Cameroon. Sir, I am a graduate in Law/Politcal Science at University of Dschang. I will be glade if you offer me a scholarship to study at your prestigious University a program that will sweet my desire.